A glut of ships sailing the Mexican Riviera means low prices this year, a cruise expert said. (CNN) -- The jaw-dropping cruise deals of 2009 have all but dried up. This year travelers will have to work harder to find a way to save on floating escapes. "Last year the deals fell out of the sky and hit you on the head," said Carolyn Spencer Brown, editor-in-chief of cruising Web site Cruise Critic. "This year you're going to have to look for them. They're there, there are deals out there, but they're just not as plentiful as they were." Wave season, the beginning of the year when cruise lines traditionally roll out value-added promotions, is looking pretty flat in terms of deals. Travelers seem to be shopping for cruises all year round, taking the edge off the frenzy for promotions in January, February and March, Brown said. Cruise agent Linda Allen said she's spending more time this year finding the best deals for her clients. While pricing isn't as attractive as it was in 2009, Allen said the number of wave season bookings has been impressive. "This is the biggest wave season I've seen in years," said Allen, who owns Cruises by Linda in Harrison, Arkansas. She's had more last-minute bookings this year than she's seen in her 15 years as a travel specialist. "I think that people have finally decided that the recession is over, and they're willing to part with their money and crack open their credit cards," Allen said. Cruise lines' pricing seems to be in line with the increase in demand. "It is still early in the selling cycle for 2010, but our order book is stronger and prices are higher than at the same time last year," said Royal Caribbean Chief Financial Officer Brian J. Rice in a recent earnings announcement. CNN asked Allen and Brown for some tips on cruise shopping and common cruising misconceptions. Don't lose sight of the value of your vacation, Brown cautions. Saving money on something that isn't a good fit for you is ultimately a waste. "You've really got to kind of narrow down your cruise style and then shop that way. Who has a week of vacation that they want to blow in the wrong way?" A double-occupancy, inside cabin shouldn't set you back more than about $200 a day. "The new formula for a deal, for the most part -- for a mass market ship, a big ship -- is if you're paying more than $100 a day, per person, you're paying too much for just about anyplace, including Alaska, which has always been a little bit higher priced, and even in Europe," Brown said. Expect the price to go up if you want a larger cabin and more amenities, she said. Opting for a shoulder season sailing, when crowds are thinner but the destination's weather is still nice, can save travelers not only on cruise prices but also on airfare and hotels in port cities, Allen said. Booking a certain level of cabin but forgoing a room assignment is another way to save, Allen said. 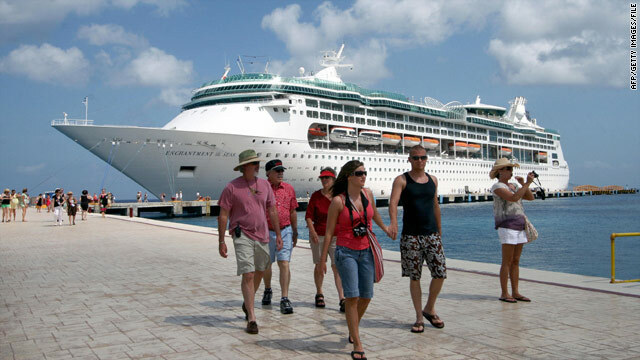 Cruise lines are willing to trade lower prices for the ability to shift passengers to meet inventory demands. A glut of ships means lower prices. Cruise Critic counted 37 ships with itineraries in the western Mediterranean in June, and the competition is reflected in attractive prices on those cruises this year, Brown said. "The Mexican Riviera is another place where we're seeing historically low prices, and it's got 10 ships," Brown said. "Now that doesn't sound like a lot, but remember, there basically are three ports that everybody goes to." Choose an older ship if you're not looking for the splashiest new features. Fewer amenities on a cruise line's older ships translate into savings for passengers. Consider expenses for the whole trip -- including airfare and hotel costs -- before assuming you can't afford a more luxurious cruise line, Allen said. Sometimes a trip on a more expensive ship will actually be cheaper in the long run. Comparison cruise shopping means looking for added value in the form of on-board credits, upgrades or complimentary amenities. "If you see two ships that are sailing somewhere for $499, see if one of them is offering gratuities as well. See if there are extras, you want to take advantage of that if you can," Brown said. Two common cruising misconceptions: The ships are cramped and you'll end up socializing with people you don't like. Not true, Brown said. "Most of the cruise lines have gotten out of the practice of forcing you to sit down to dinner with people you don't know, which I think is the most barbaric custom ever created."